Looking back, let´s imagine the document management of yesteryear companies when the information was captured in paper. Back then, documentation related to a matter was classified in folders, and these in turn, were placed in one or several filing boxes that were labelled with the corresponding matter so as to be located later. If the matter required confidentiality, the filing boxes were kept either in locked cabinets or rooms at the disposal of the authorized persons that should know of or deal with the matter. If a matter was a workflow that should be successively dealt with by several persons, the whole or part of the file or the dossier would be handed down from some hands to others. CIFKM applies similar procedures as these ones but taking advantage of state of the art technology. 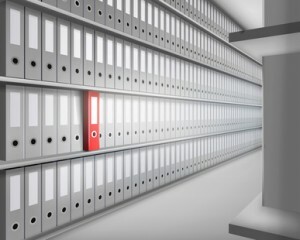 In CIFKM the filing boxes are virtual and smart, this is why we call them "Smart Boxes". They can contain files as well as other types of information, multiple links, attributes and access as well as modification permissions assigned to user groups. The whole text content of each "smartbox" is indexed, which later facilitates its location. In fact, the “Smart Boxes” are small applications created by the users each time they need them to encompass information on a specific matter and, if necessary, they have traceability over it and are able to perform its tracking. Each one is created with a “Smart Box” template adapted to its purpose. The set of “Smart Box” templates made available to one or several groups of users constitutes a work environment. A “Data Smart Box” may be created by any user to incorporate the information on a new matter, a company resource, etc. and to share it or interact with others. For this, the user selects one of the “Smart Box templates" that is available to him, and with it opens the form that corresponds to the type of “Data Smart Box” that he would like to create. He only has to fill it out and save. Each “Data Smart Box” possesses multiple functionalities and, can also incorporate scripting code to obtain automatisms, for example, they can serve as forms to execute phases of a workflow. Everything has previously been defined in the corresponding "Smart Box" template. To facilitate the creation of new “Smart Boxes” for the users, TEMPLATES have been created, one for each type of “Smart Box” that the company needs. Each “Smart Box” template is designed so that the corresponding "Smart Boxes" incorporate the functionalities and attributes they require, and it is only made available to the users that need to use it. To ensure the availability of the "Smart Boxes" and preserve their confidentiality, each "Smart Box" has one or more administrators, who are not necessarily those who have created it. These persons manage those who have an ACCESS KEY to it and powers over it, either only to view its content or also to modify it. For users who do not have access to it, the "Smart Box" will not exist, i.e., each user will only see those "Smart Boxes" that he has at his disposal. The "Smart boxes" allow one to manage the confidentiality of the matters and thus preserve personal data protection even to the highest degree. If a matter is a workflow that should be successively dealt with by several persons, instead of sending the whole or part of the file or the dossier, one may either send hyperlinks to a copy of a whole "Smart Box", or to some of its files and folders, via email, either to users or to third parties, who can view the content through the hyperlink by means of the Client program or a Web-browser. Furthermore, built-in attributes in the corresponding "Smart Boxes" can indicate the status of implementation of the processes.